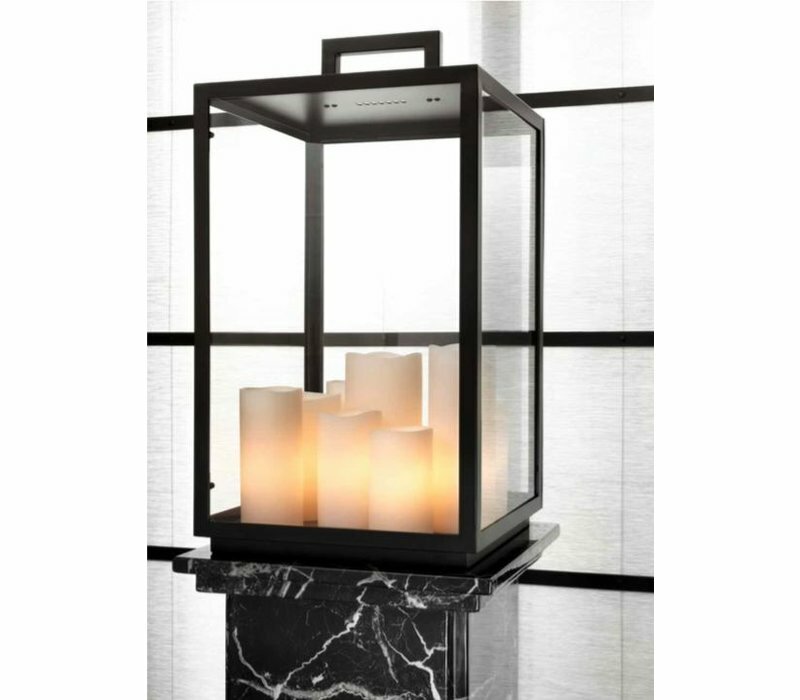 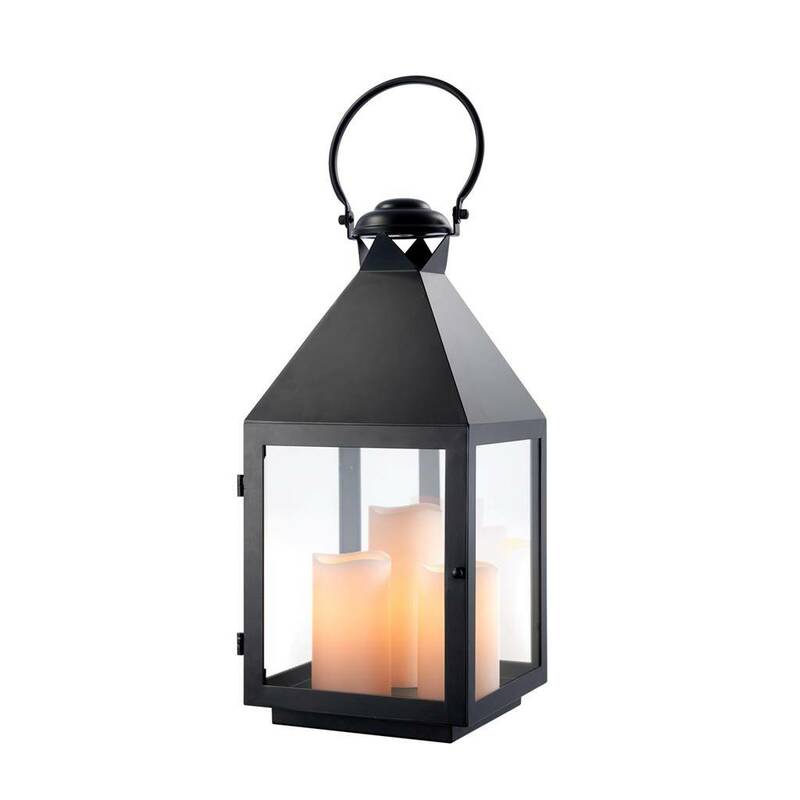 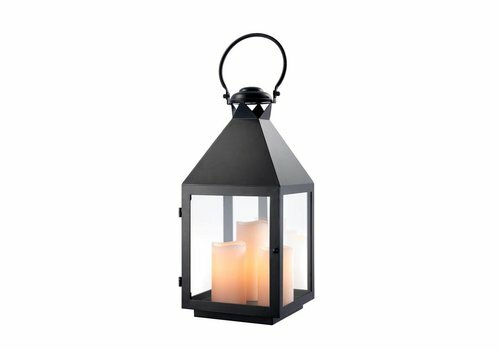 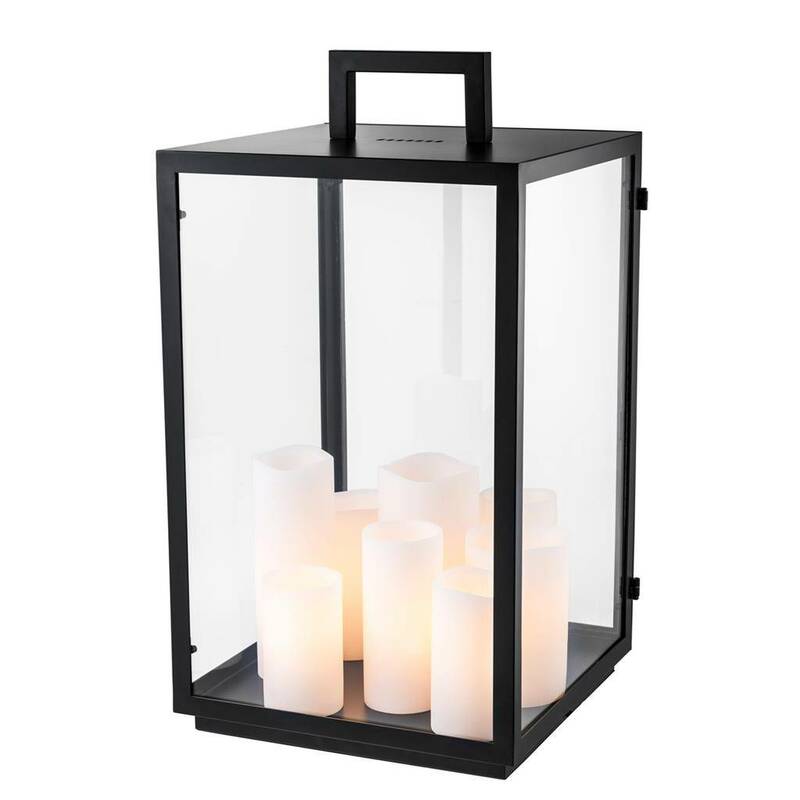 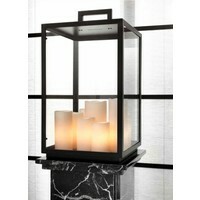 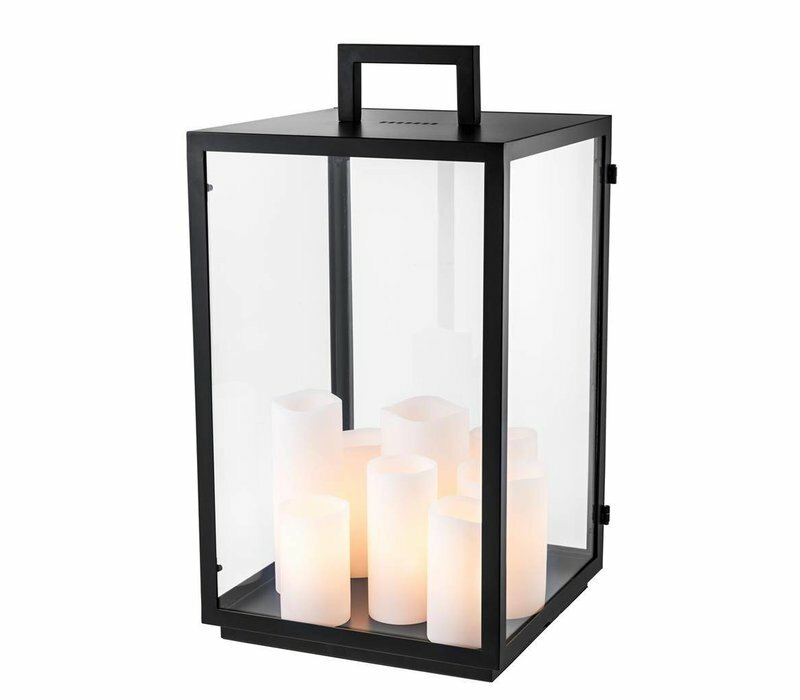 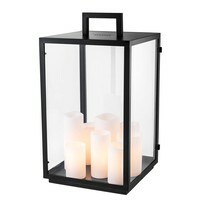 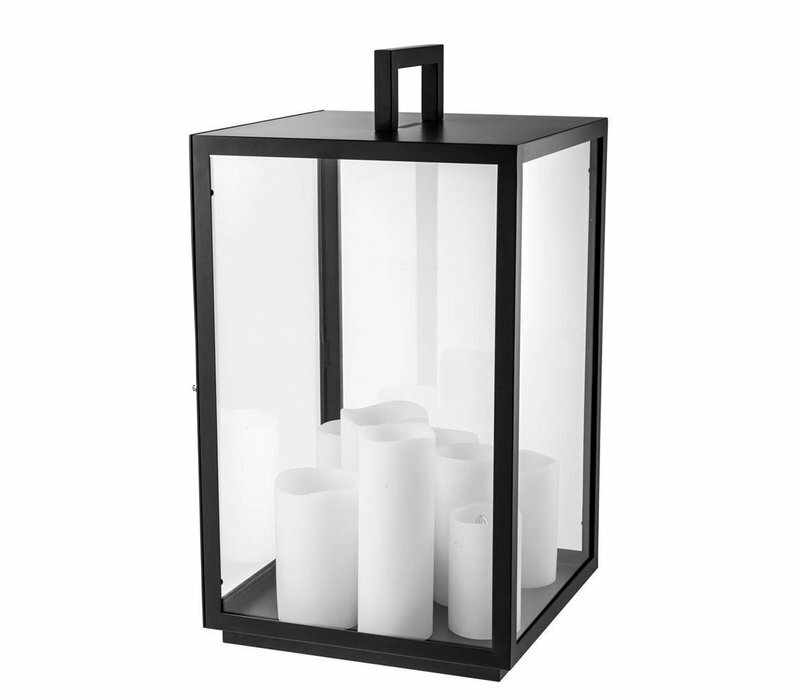 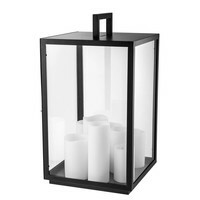 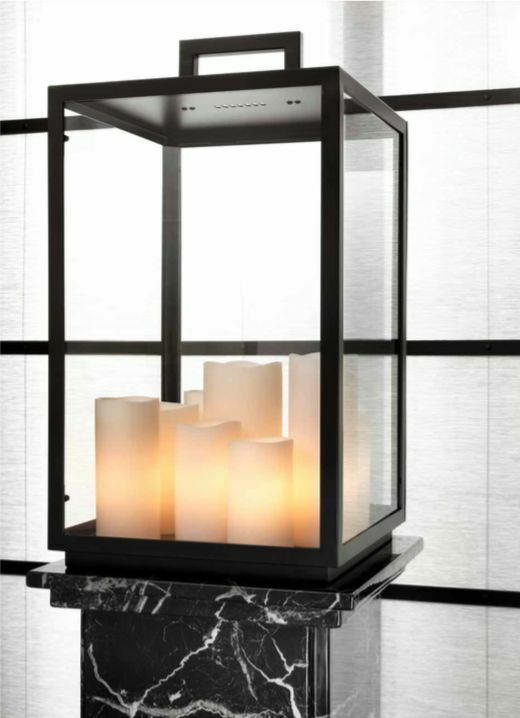 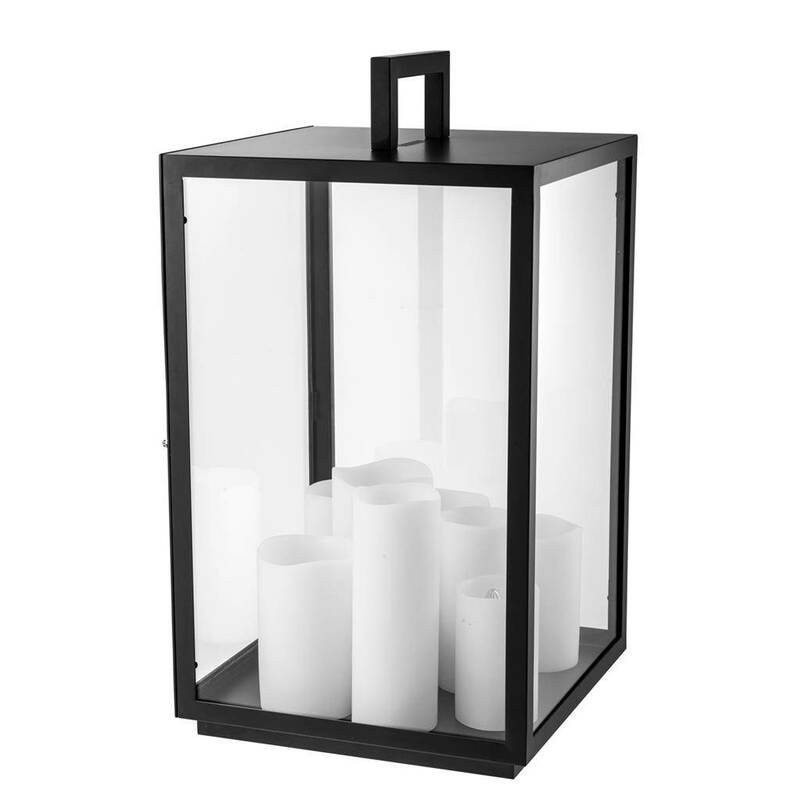 Table lamp Vanini is designed as a large lantern with large candles inside. 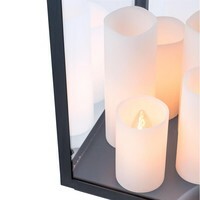 The candles hold the light bulbs. 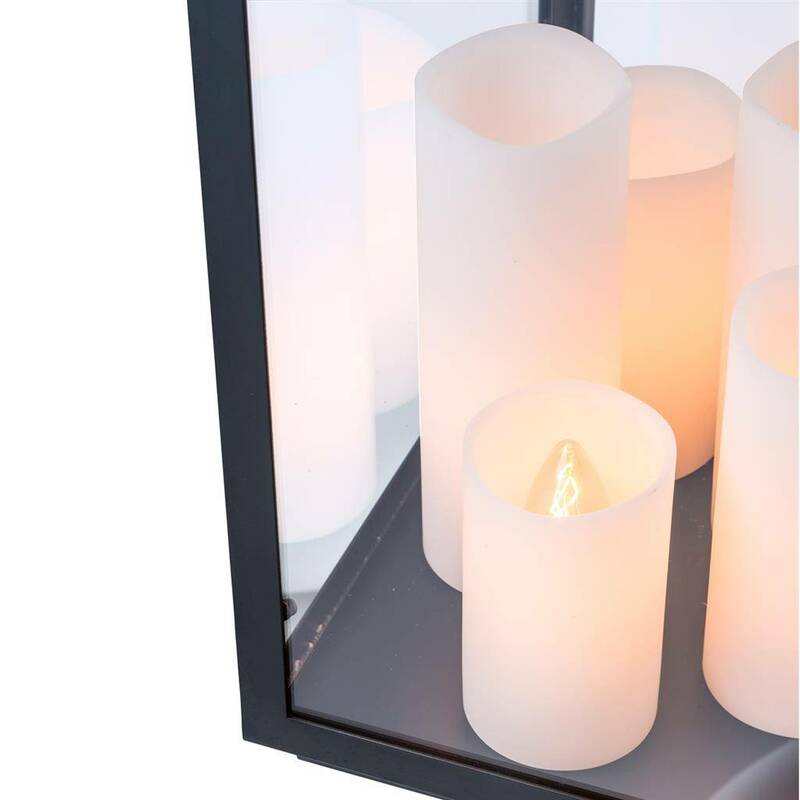 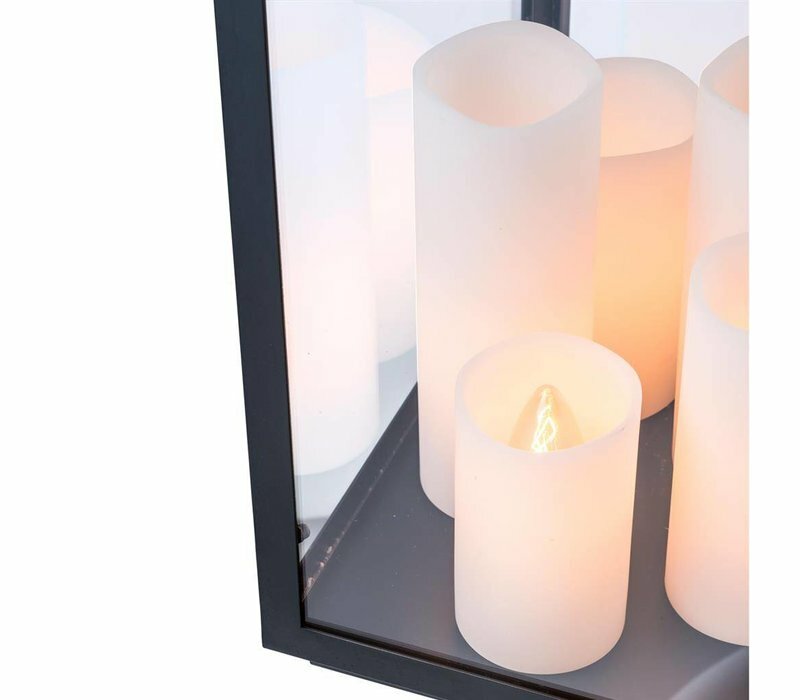 It creates ambient lighting and is an eye-catcher in any room.